Octagonal plate in the Windbells pattern. Size 21cm wide. Very good condition. 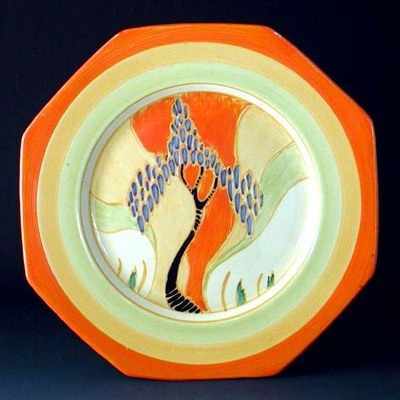 Signed "Fantasque Bizarre by Clarice Cliff".